ABSTRACT: By premising a blink at the judges who were active in late roman trial, the essay analyses Justinian’s constitutions in which lists of contemporary judges are held, in order to identify the subjects that are herein cited as being a part of the judicature. The paper aims to evaluate the extent of the thoroughness of Justinian’s lists and to inquire into the reason of some obscurities and omissions that are there noticeable. KEY WORDS: Late Roman and Justinian’s Law, Judiciary. SOMMARIO: 1. Introduzione: rassegna dei giudici attivi nel processo cognitorio di epoca tarda (rinvio in relazione ai giudici delegati, locali, agli organi giudiziari che succedono nella previa competenza giurisdizionale del sovrano e ai diaitetaì) – 2. In particolare: i funzionari giusdicenti ... – 3. ... i iudices electi ... – 4. ... gli arbitri privati ... – 5. ... i giudici religiosi, canonici ed ebraici – 6. 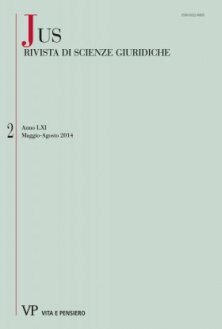 Le elencazioni degli organi giudicanti nelle costituzioni giustinianee: C.3.1.13.1, C.3.1.14.1 ... – 7. ... C.2.46.3. C.2.3.29.2 e Nov.113.1.1 – 8. Conclusioni: valutazione complessiva delle statuizioni in materia e ragione della loro parziale oscurità. The purpose of the article is to show the double meaning of the expression «iudices ordinarii» in late Roman law sources. The first labels the governors of the provinces not ranked as «proconsules» («rectores provinciarum»), the second indicates the holders of ordinary jurisdiction in juxtaposition with special judges when a jurisdictional issue arises. If the latter fits well with the up-to-date concept of ordinary judges and needs no particular explanation, the former is justified by the more general indication of the province’s governor as «iudex tout court» in contemporary sources and by his fulfilment of first instance jurisdiction characterized by a lower honorary rank, rather than his lack of «iurisdictio vice sacra». It is remarkable that also in the second meaning «iudices ordinarii» indicate to some degree the «rectores provinciarum» amongst the law sources collected in the Theodosian Code.